WordStream offers a suite of online SEO tools to help you perform search engine optimization tasks more effectively and efficiently. Our SEO tools are helpful for people at every level of experience, from those just starting to optimize a blog or website to companies undergoing large-scale SEO and PPC initiatives. 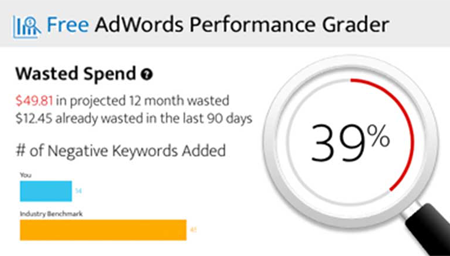 WordStream's search marketing tools can even help you apply gains from SEO to pay-per-click campaigns, so your search marketing efforts go farther. Read on to learn how to use WordStream to drive more traffic and leads through organic search. The basis of any organic search initiative is SEO keywords, the words and phrases that potential visitors and customers use to find sites, products and services like yours. Being able to "speak the language" of these search engine users and anticipate how they search is crucial to being found, and the more keywords you rank for in the SERPs (and the higher your site ranks), the better your traffic and conversion numbers will look. It's faster: The tool provides near-instantaneous results to your query. It's more comprehensive: We constantly update and index over 1 billion unique keywords, amounting to more than a trillion search queries, from diverse sources, so we can offer you the most accurate and comprehensive keyword data available. To use the free keyword tool, just enter a word or phrase. You can see up to 100 of your results; to get the full list, simply enter your email address and we'll send it to you in a zipped file. Having so many keywords at your disposal is extremely helpful for SEO. You could never come up with so many keywords on your own, and most keyword tools only provide the most common and popular keywords for a given topic—which makes those keywords highly competitive and therefore difficult to rank for. Long-tail, niche keyword terms are less competitive and also tend to show more intent, so they often drive conversions, not just traffic. However, a keyword list that extends into the long tail of search can very quickly become disorganized and unmanageable. How are you supposed to maintain control of hundreds of thousands of keywords in a spreadsheet? Group keywords into small, manageable segments: This is crucial for well-managed SEO. Grouping keywords semantically enables you to create content around related keywords with more efficiency. Your keyword group structure can also inform your information architecture; logical, user-friendly site design is important for search engine optimization. Practice ongoing, personalized keyword discovery: While our free keyword tool is great for getting started, the best keyword source for SEO, in the end, is your own customers. The best keyword tools tap into your own site data so you can leverage the keywords that real visitors have used to find your site and further optimize your content with that insight. It's also important to continue to aggregate new keywords over time so your SEO efforts can expand and improve. Act on your keyword analytics: Most keyword analytics applications provide useful information about which keywords are and aren't performing on your site, but stop there—you can't actually do anything with that data to improve results. An SEO management tool should allow you not only to analyze but also to take action.